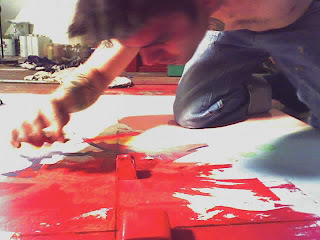 I had started this on a separate web-server and decided that blogspot.com was the best choice for me. So this post is backdated, and simply copied from my old blog. 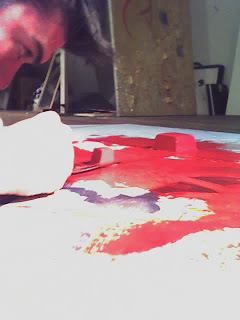 I thought that I would just start off with some pics of a painting I worked on a while back. This is the process of oil painting a texture composition. 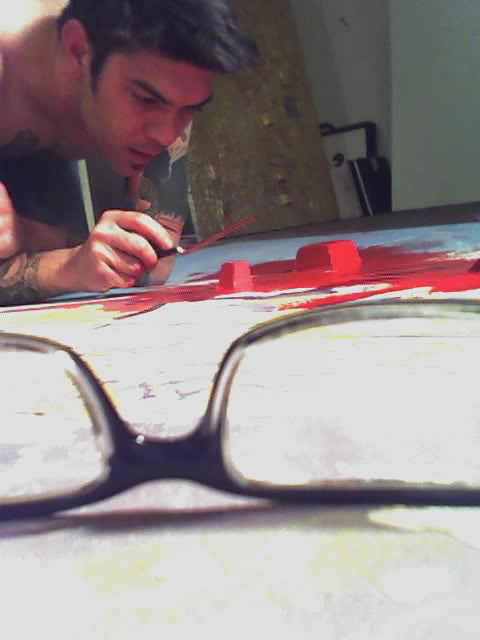 This was the first of many sessions of adding oil paint to the canvas. 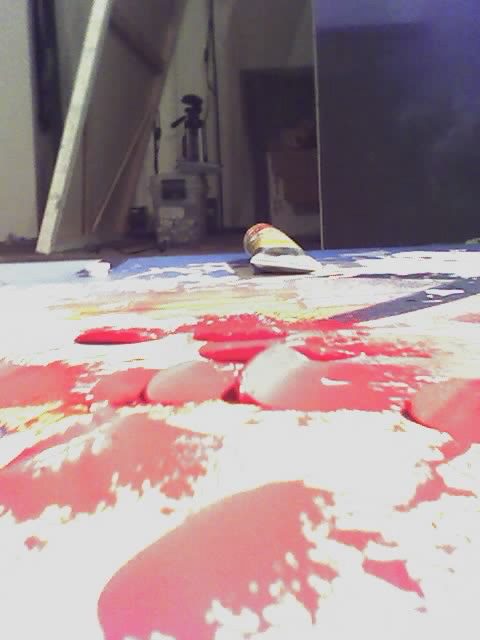 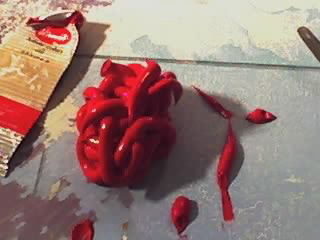 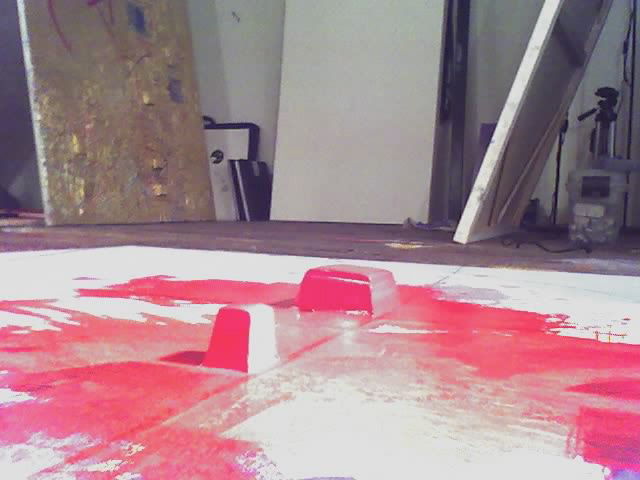 When I work with the texture of oil paint I start out with a lot of paint, and sculpt it like clay into forms. After i have established the main composition with the larger forms of oil color I like to just keep adding oil color with a palette knife. 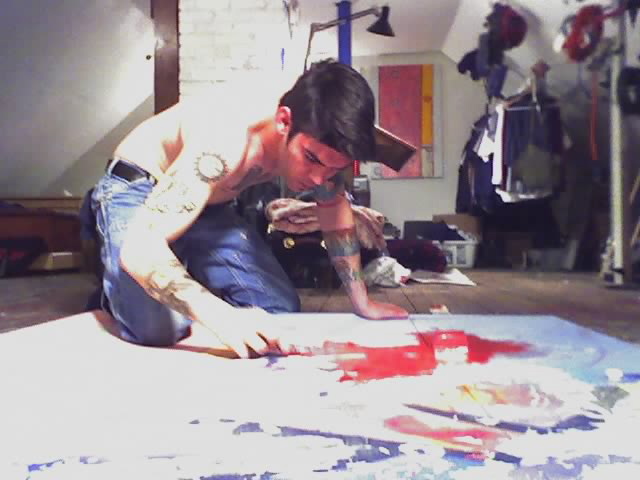 These paintings, if i could truly afford them would be what I focus on most of my time. 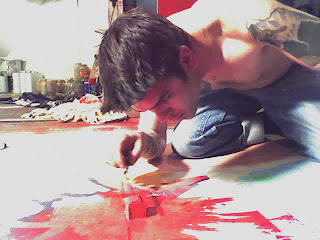 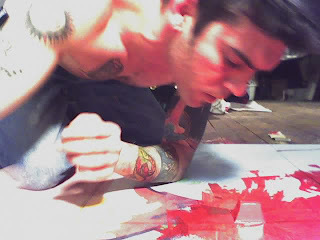 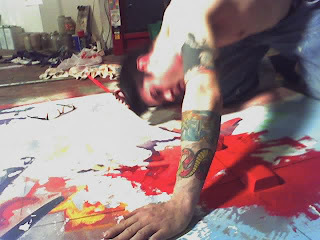 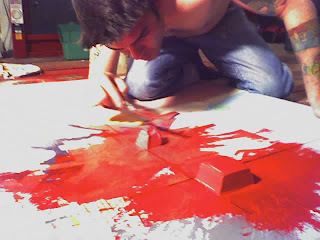 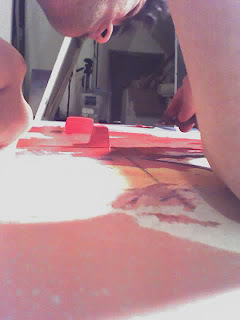 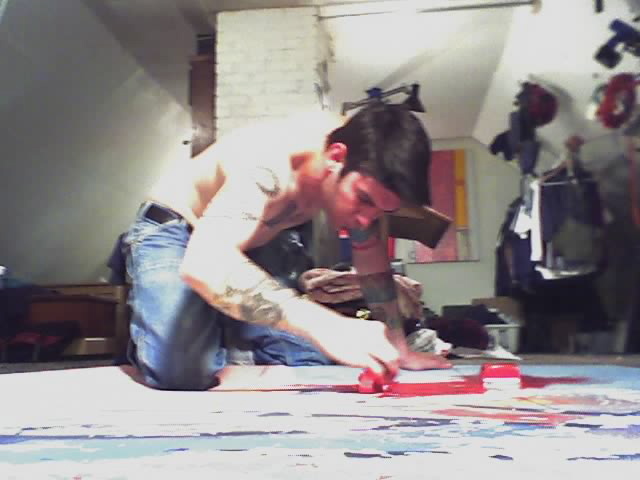 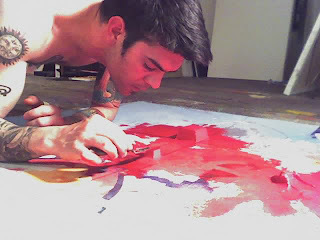 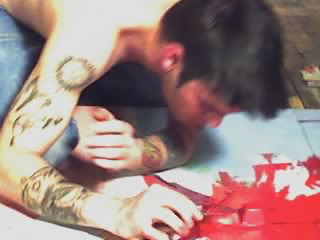 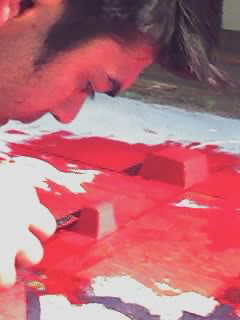 These pics are of me sculpting the first large forms on the canvas. 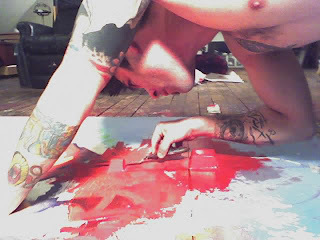 Artwork of the month: Catherine A. Palmer.